Over 150 boxes containing programs, artwork, photographs, scores, correspondence, business papers and tapes from such renowned composers as Terry Riley, Elliott Carter, Pauline Oliveros, Pierre Boulez, Meredith Monk, Anthony Braxton, and Brian Eno have already been transferred to Special Collections and Archives at McHenry Library on the UC Santa Cruz campus. About 4,000 reel-to reel, cassette, DAT, and video tapes of interviews and live performances from KPFA, entrusted to Other Minds, will additionally be delivered to UCSC this summer—including more than 30 years of Cabrillo Festival performance and interview tapes. The recordings—all one-of-a-kind documents, mostly made on reel-to-reel tape—cover the period between 1949 and 1995. 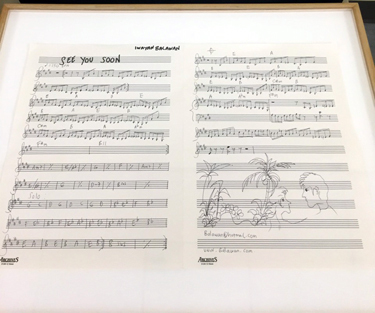 “We wanted to give the archives to a place where we could be assured that the contents will be safe and used by music faculty and researchers,” noted Charles Amirkhanian, the executive and artistic director of Other Minds. "The music faculty of UC Santa Cruz shares my interest in the line of composers stemming from the experimentalism of Henry Cowell, John Cage and Lou Harrison—composers who re-imagined every parameter of music, rather than creating their music strictly within confines of the Western European classical tradition." "Living and working far from New York and Europe, these composers were free to absorb influences from non-Western culture that ushered in the first wave of a distinctly American music." KPFA, America's first listener-sponsored radio station, founded in 1949, had a long history of hiring composers as music directors, beginning in the early 50's with Robert Erickson, teacher of Terry Riley, Morton Subotnick, Pauline Oliveros and others who went on to invent minimal music and live electronic music. The station even maintained a satellite studio for live concerts at the famed San Francisco Tape Music Center on 321 Divisadero Street where Riley premiered "In C" in 1964. Henry Cowell played inside the strings of the station's piano back in 1949, and there is sound from a transcription disc of that performance included in the collection. A composer who was also music director of KPFA in Berkeley for 23 years, Amirkhanian founded Other Minds two decades ago as a gathering place for composers—primarily through presenting an annual festival of experimental jazz and classical music with all guest composers present. 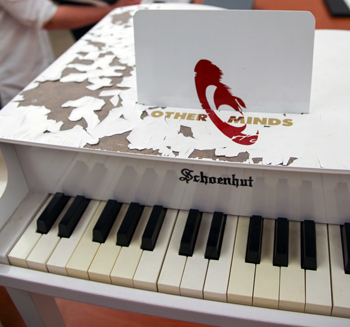 Since its inception, the Other Minds Festival has presented nearly 200 composers from around the globe, with early festivals including performances from Laurie Anderson, Philip Glass, and Ned Rorem. 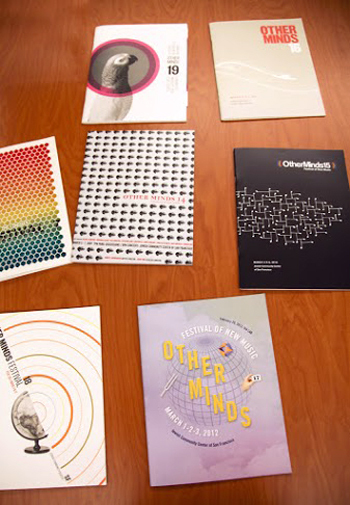 Elisabeth Remak-Honnef, head of Special Collections and Archives at UC Santa Cruz, noted that the Other Minds archives are a perfect fit for the Santa Cruz campus. In fact, Polansky’s compositions were featured at the Other Minds 21st annual festival at the SFJAZZ Center which concluded on March 6. Guitarists Polansky, Giacomo Fiore, and Elliot Simpson performed three of Polansky’s works for electric guitar. 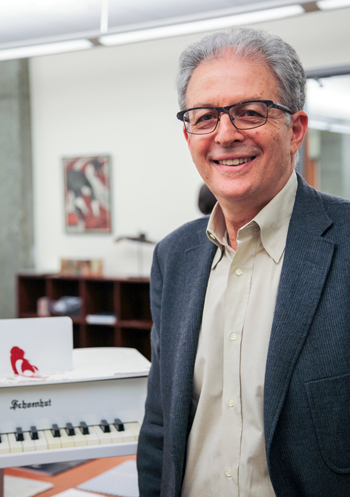 “The Other Minds archive is probably the most important collection of Western contemporary music in the United States of the 20th and 21st centuries,” said Polansky. Remak-Honnef said that fundraising is now underway to hire a project archivist to catalog the archive and to support the digitization and preservation of over 30 years of Cabrillo Festival performance and interview tapes. She estimated that the archive would be made available to the public by 2019.